What is the secret to a great Pad Thai? I am so glad you asked. The answer is simple, the secret is in the sauce! Guess what? Pad Thai sauce is quite easy to make and stores well in your refrigerator. Take the time to make a great sauce now, which will significantly reduce your Pad Thai cooking times. 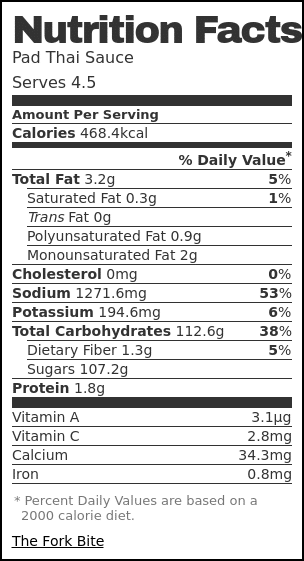 Who knows, you may be a lot like me and enjoy the flavor of the sauce so much you add it to your stir-fry as well! Do you want to create the best Pad Thai sauce? Of course, you do and to do that, you want to start with fresh shallot, garlic, and large dried chili pepper (soak in the water ahead of time). You will use a food processor or a blender to create a paste out of these fresh ingredients, which are the base of the sauce. Die-hard fans of Pad Thai sauce will tell you palm sugar and tamarind concentrate, but it must be said that these can be difficult to get your hands on. Whisk together ingredients. Serve several tablespoons over pad thai. This is the Tamarind I used for this recipe and I bought it from 99 Ranch market. At first attempt, my Pad Thai Sauce tasted so sour/intense and not even close to a Pad Thai dish when I followed the recipe to a T from one of the popular FB and Youtube videos. 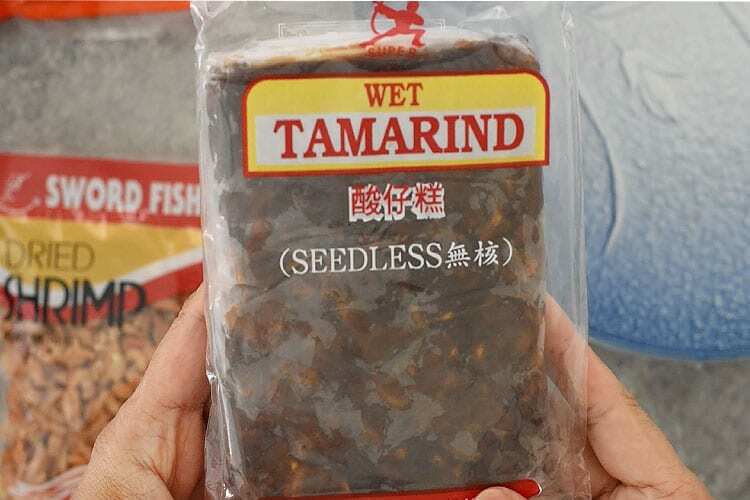 So, I tried to puree this tamarind concentrate in a blender (the whole pack) and added 1 cup of water. The result was much better than my first attempt, now I realized that lots of recipes that I tried to re-create at home, I basically end up modifying the measurement of the ingredients as the results are either too salty or bland. Perhaps the best thing about creating your Pad Thai sauce is the many variations you can make on the recipe. It is an easily adaptable item and people from all walks of life tweak it to make it their own. Think of it as the meatloaf of the Asian food world! If you enjoy this dish when you visit your favorite Thai restaurant, why not spend some time creating your very own recipe? 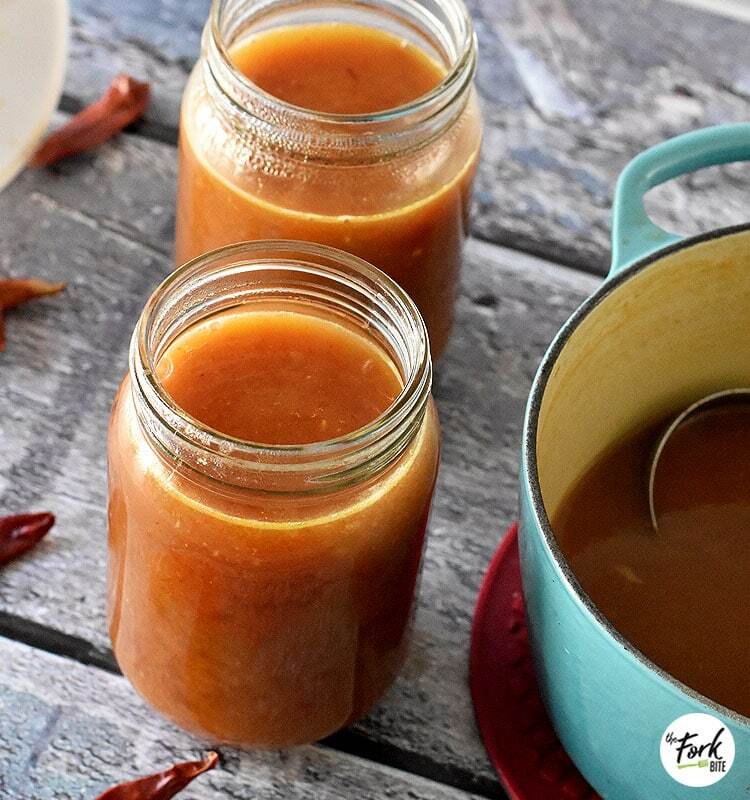 There is nothing hard about the process and the resulting sauce will easily keep in your refrigerator for a month. Enjoy Pad Thai anytime! Enjoy Pad Thai anytime using this Pad Thai Sauce. 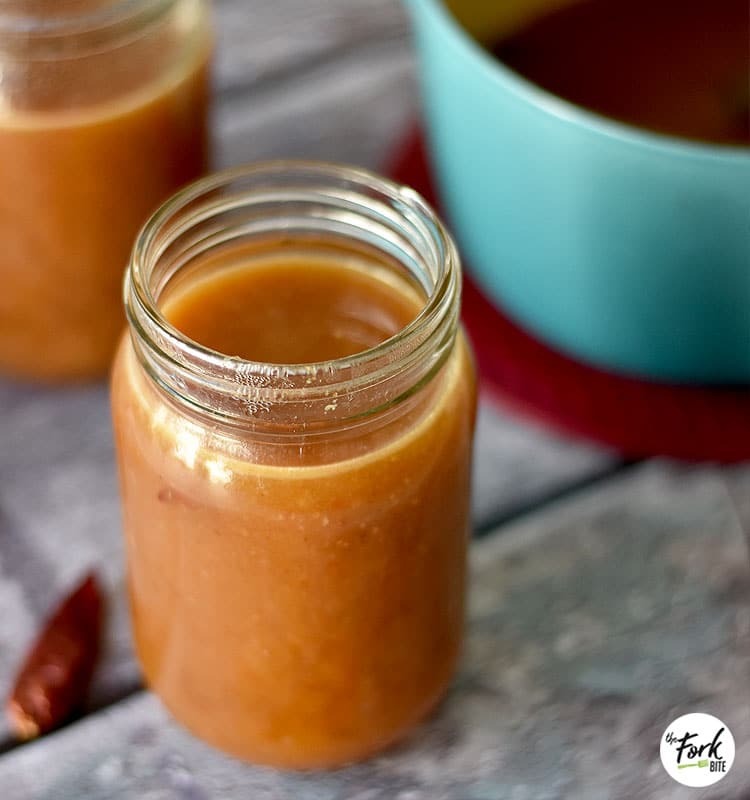 This perfectly sweet, tangy , a bit salty sauce with a little kick of spice is so easy and quick to make so you'll have a perfect dish every time. Puree the tamarind concentrate using a blender. Add the whole pack + 1 cup of water to make a Tamarind paste. Rehydrate the dried chilies overnight by soaking them in water to make them soft. 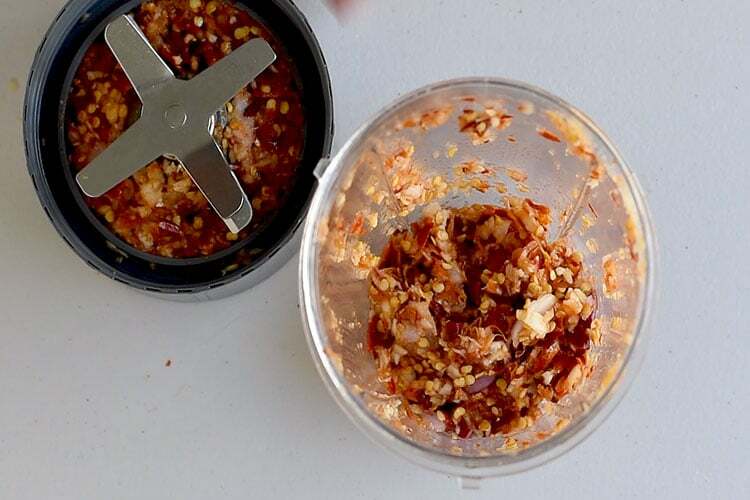 Place the shallots, garlic and the rehydrated dried chilies in a blender to make a paste. Heat the oil over medium heat. Stir fry the shallot/garlic/chili paste for a minute to infuse the aroma. Now, you can add the water and let it boil. Once the water is boiling, you can add the palm sugar disc. It may look like a lot of sugar but Pad Thai dish is always sweet, sour and salty. You can lower the heat now and add the fish sauce, the salt and the Tamarind paste. I added around 8 tbsp of tamarind paste but you can adjust yours to 6 tbsp, it depends on your taste. Give them a good mix allowing the palm sugar to dissolve thoroughly. Try sifting the Tamarind paste and use a spoon to dissolve or blend well in the mixture. This final step is optional, I added the Sriracha sauce to give the sauce a nice color and taste much better. Once all the ingredients are melted and blended well, transfer the mixture into a bottle container. Let them cool cool down and store in the fridge for future use. For Tamarind Concentrate: The level of tartness of the tamarind concentrate that I bought was too strong, so I tried to puree it in a blender. 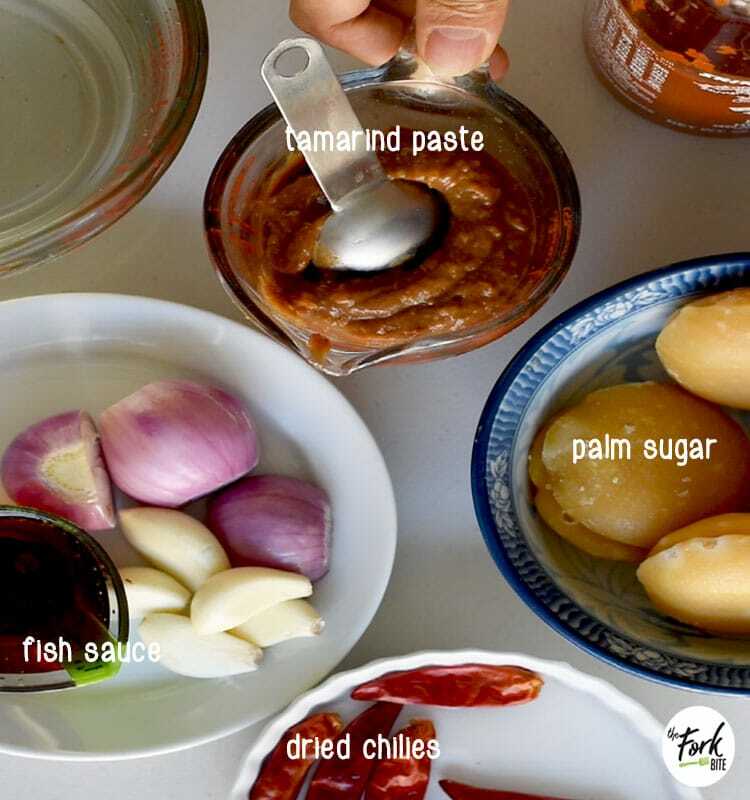 Use the whole package ( as per picture above) and add 1 cup of water to make a Tamarind paste. I haven’t heard about Pad Thai sauce before, oops. 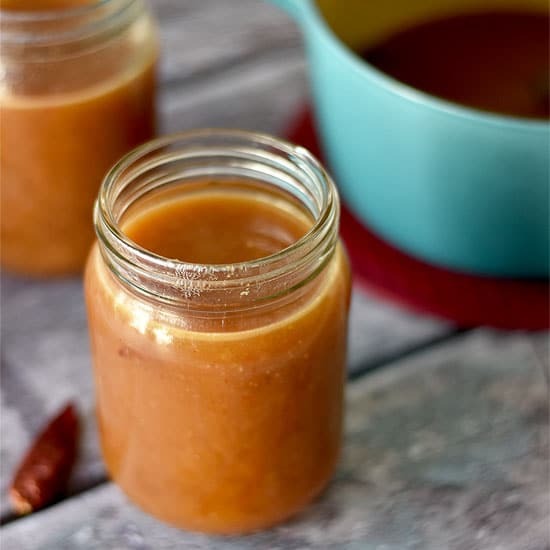 I love the sound of it, though, and as there’s a prevalent preference in my family for sauces, I’ll give this recipe a go. I’m sure the others will love it! What would you add this too. I have only eaten Thia food a few times but this looks yummy . My husband is reading with me and wants to try the recipe.. It has been a minute since I ate pad thai but yummmmm! I’ll have to try out this recipe. I love Pad thai and your pad thai sauce recipe sounds easy and quick to try. I will have to try this myself. This looks lovely and really quick and easy to make. I like the little jars you picked to store the sauce in too. Cute! oh, my!! This pad thai sauce recipe is a must try. It looks easy and quick to do. Looks delicious as well.WIll absolutely give this recipe a try. I hadn’t considered making Pad Thai at home, but I love it and should be making it. Pinning this recipe for sure and will surprise my husband with it sometime in the next couple of weeks! I LOVE pad thai … and have never considered making it at home … Now I am thinking I must try. Thanks for the sauce recipe. I would love to try this Pad Thai Sauce, It looks tasty. I love that it is easy to make and easy to store. Yum!! This sauce sounds amazing. I love Pad Thai, but never would have thought to make it at home! I love Thai food, especially Thai Green Curry. This looks like the perfect sauce for a wonderful pad thai – quick, authentic and delicious. I love Thai food, it has amazing flavors and the freshness, just wow! I think making your own Pad Thai sauce at home is a great way to enjoy Thai flavors whenever you feel like it. Thanks for the recipe and the step-by-step! You are right when you say that everyone has their own variation of Pad Thai sauce. I use rice vinegar for mine and no tamarind concentrate, as I oculdn’t find it in my local supermarket. 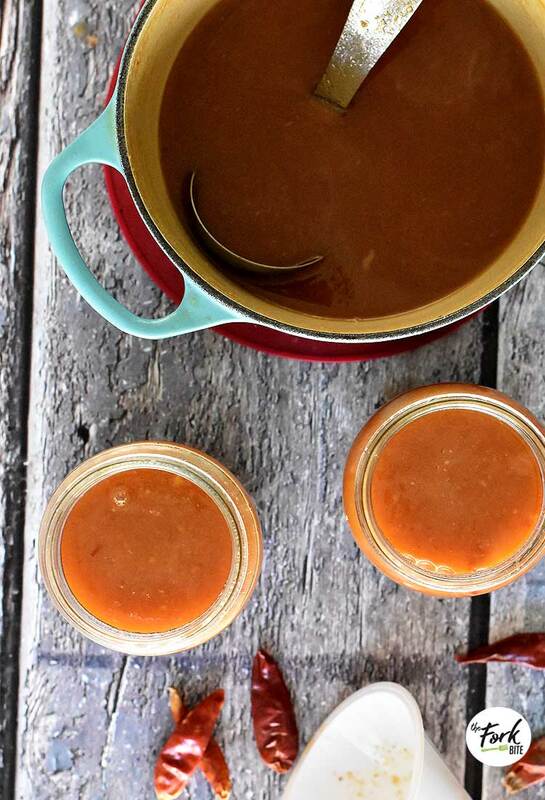 Love that you can make your own Thai sauce at home. I’m that type of girl! Would rather make it from scratch than buy a bottle in the grocery store! I like to think of myself as a pretty adept cook, but I have yet to master Pad Thai, and you are so right – it is all about the sauce. I am going to give this a go and see if it does the trick. Thank you! I can;t wait to try this one! Pad Thai is one of my favorite dishes, and it is the sauce that I’ve been afraid of! I would love to make it at home! What a great recipe! Whenever I make pad thai at home it’s always a guess on how to season it properly! This sauce is a keeper! I absolutely love Pad Thai, but have never considered making it at home! You make it look so easy and delicious! I can’t wait to make it. Hey, in fact, I’m going to make it this weekend! Yay! Great recipe!